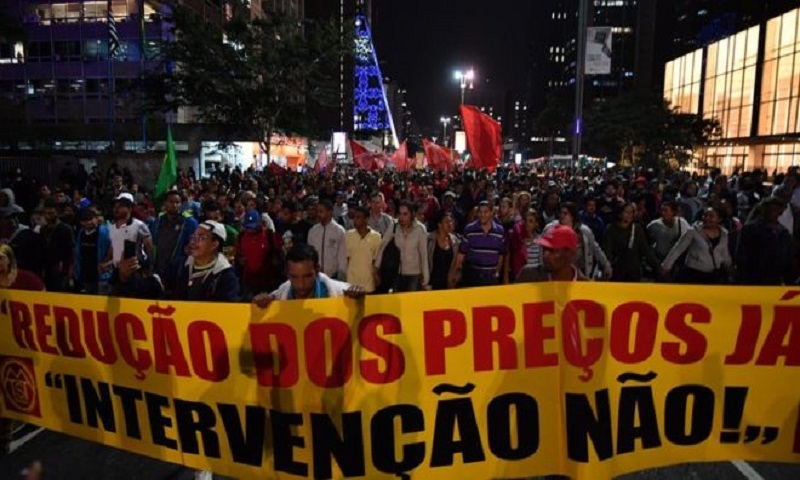 The head of Brazil's oil giant Petrobras, Pedro Parente, has resigned, following a nationwide strike by lorry drivers that caused huge disruption. The strike against diesel prices, which ended this week, caused major shortages in the country. Many of the protesters blamed Mr Parente for rising costs, after the company stopped subsidising fuel prices for its domestic consumers. However, Petrobras gave no specific reason for the resignation. In his resignation letter to President Michel Temer, Mr Parente said the strike challenged the pricing policy he had implemented. Mr Parente said his role "as CEO had stopped being positive" and the government needed to consider "alternatives" to its pricing policy going forward, according to Reuters news agency. Two years ago, former energy minister Mr Parente pegged the price of fuel in Brazil to international oil prices, which have since almost doubled. After years of corruption scandals involving senior politicians and officials, his policy had helped Petrobras recover its market value. The oil giant is controlled by the Brazilian government and is regarded as one of the world's biggest oil companies. In January, the company agreed to pay almost $3bn (£2.18bn) to settle a class action suit in the United States, after investors said their holdings were damaged by a corruption scandal facing the firm. Brazil's government had said it will not use Petrobras to subsidise fuel. But the departure of Mr Parente has led to some speculation that Brazil may go back to its old fuel pricing policy of subsidies for those from low-income backgrounds. Shares fell by more than 20% following his resignation on Friday.